5G will make everything from cars, cities and phones smarter. BARCELONA, Spain—It’s been two years since Facebook CEO Mark Zuckerberg arrived in Barcelona, Spain at Mobile World Congress to a packed auditorium of technology execs and journalists. At the time, he said 5G wasn’t nearly as important as connecting the rest of the world with the internet. However, fast forward two years to this past week, and it’s clear nobody paid attention. If there was a single thread that crisscrossed through the world’s largest mobile trade trade show this week, it was 5G. Walking the halls of Fira Gran Via, visitors could either be wowed by the possibilities or roll their eyes at the hype. The world’s telecoms, phone manufactures and tech giants were all pitching it—each putting their brand’s unique spin to show how it will be relevant to all parts of life in the near future. 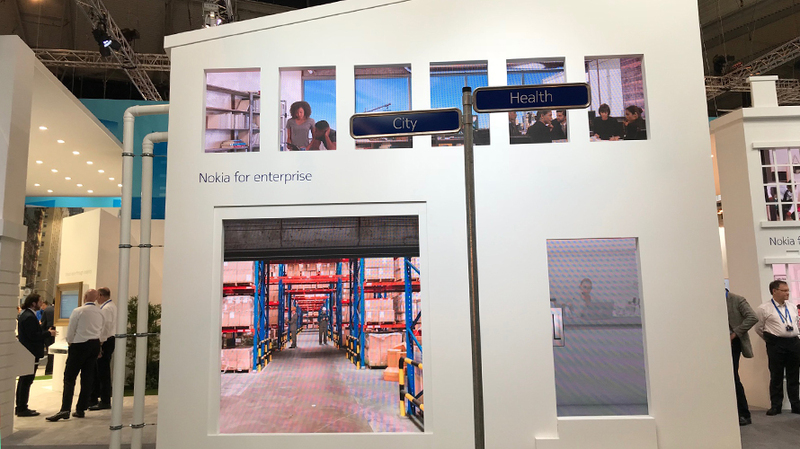 Instead of building the standard trade show booth, Nokia turned its own sprawling area to resemble a smart city—with streets, buildings and rooms all displaying how faster connectivity could help people in the near future. There was a booth to show how low latency can help prevent car crashes. Another explained how it will help banks communicate. Yet another showed a futuristic living room, where AI and three-walled screens could someday combine with high-speed internet to detect what someone is in the mood to watch. While Ericsson pitched 5G by showing how frustrating virtual reality can be without it, SK Telecom used VR to show how much fun it can be with it. At the South Korean company’s booth, visitors tried on Samsung Gear VR headsets to demo SK’s Oksusu Social VR platform, which lets users hang out together as avatars in a VR theater while watching 2-D sporting events, movies and concerts on a virtual big screen. The demo, which reps said is not yet available commercially, feels like a more basic version of Facebook’s Spaces platform, where VR avatars can hang out inside of 360-degree videos or take selfies and call people back in the real world through Facebook Messenger. To show how 5G will help improve live 360-degree video, French telecom Orange partnered with Huawei to place a 5G-connected 360-degree camera on top of a tower by the Mediterranean Sea, along with another in an elevated cable car by the shore. Visitors to the company’s booth could then watch what the camera saw by putting on an Oculus Rift headset to get a birds-eye view of the cars below. As phones tend to be the focus of Mobile World Congress, it makes sense that 5G would focus on them. This week, U.S. telecoms began announcing 5G roll-out plans for when they plan to install it across the nation, with Sprint, AT&T and T-Mobile all naming their prioritized cities. But even while they’re planning to create the networks, there’s still a need for devices that can connect to it. 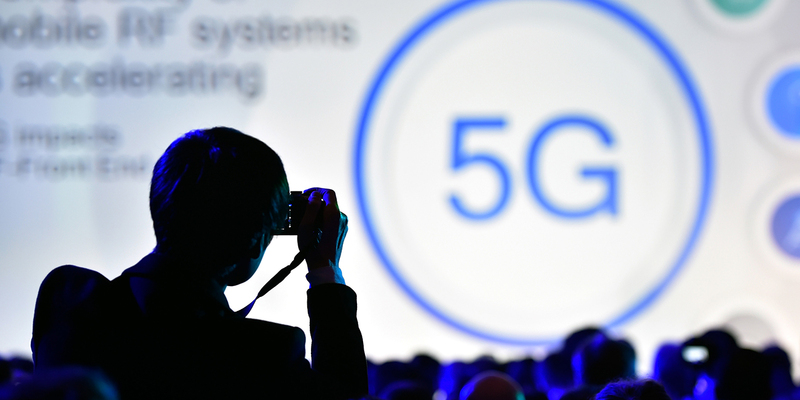 On that note, several companies including Huawei, Intel and Qualcomm all released 5G chips for mobile devices, therefore paving the way to soon begin connecting everything to next-generation networks. One of the often-cited ways 5G will be used is in self-driving or other types of connected cars. Faster connectivity, experts say, will allow for the continuous connection that lets cars “talk” to each other and the streets, streetlights and other sensors around it. 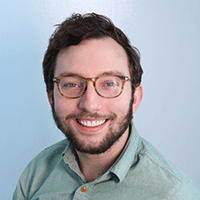 Even non-autonomous vehicles could benefit. This week, Intel showed off its 5G-connected car, which was able to download the data equivalent of two high-definition movies a second.